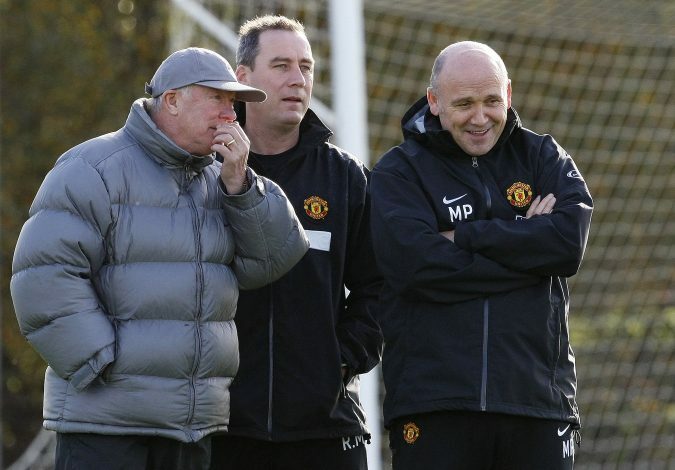 When Sir Alex Ferguson made yet another surprise visit to Manchester United‘s training grounds last Saturday, many believed it was solely to motivate the players for their crucial encounter against Tottenham Hotspur. However, it was later revealed that the Scot had actually arrived at the Aon Training Complex to meet with Giuseppe Rossi, who seems to be training with the Red Devils’ first-team at the moment. The Italian striker, who joined the Old Trafford outfit back in 2004 as a 17-year-old, impressed heavily at the club’s youth academy, having won accolades like the Jimmy Murphy Young Player of the Year and the equally-prestigious Denzil Haroun Reserve Team Player of the Year in his early years at the club. However, he failed to establish himself as a regular first-team star, and eventually departed the club in 2007 to join La Liga outfit Villarreal. Now, after being released by his latest club Genoa in the summer of 2018, Rossi has returned to Manchester United at the invitation of Ole Gunnar Solskjaer, but only on a temporary basis. The Norwegian revealed as much after his side’s win over Spurs, as he stated: “We’re not going to sign Giuseppe I think, no, but he’s trained well with us, said Ole, before he revealed how Sir Alex Ferguson was impressed by his finishing. “He looks sharp, he’s looking for a club so Giuseppe is probably going to stay with us for another week, unless someone takes him.